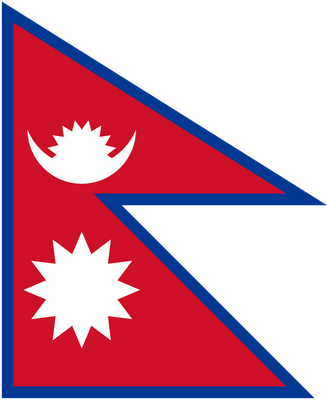 The national flag of Nepal is the world's only national flag that is non-quadrilateral in shape. The flag is a simplified combination of two single pennons, the vexillological word for a pennant. Its crimson red is the colour of the rhododendron, the country's national flower. Red is also the sign of victory in war. The blue border is the colour of peace. Until 1962, the flag's emblems, the sun and the crescent moon, had human faces. They were removed to modernize the flag. The faces remained on the sun and the moon on the Royal Standard until the abolition of the monarchy in 2008. The Libya Flag was officially adopted on November 11, 1977. It is the only flag in the whole world with just one single color. There are no designs, insignia or other details on the flag of Libya . The green color is the symbol for Islam which emphasizes the long devotion and respect of people to their religion. Green is also the national color of the country. The first national flag of modern Libya was adopted in 1951, when the country gained independence. The symbols and colors on the Libyan flag have constantly been changing until 1977 when the current one was adopted. The green color also stands for Gaddafi's “Green Revolution”. 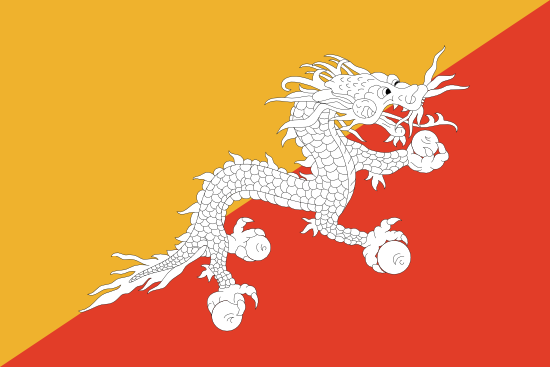 The national flag of Bhutan was officially adopted in 1965. The flag features the wingless white dragon holding jewels in its claws to interpret prosperity. The embrangling mouth of the dragon represents the strength of the male and female deities, protecting the country. The white color stands for purity and loyalty. The national flag of Bhutan is consists of the two colors. The national flag of Bhutan is diagonally divided into saffron yellow and orange-red colors. Saffron yellow color of the Bhutan flag stands for the power of the monarchy, the authority of the king and on the other hand, orange-red color stands for Buddhism. Georgia flag. The red crosses have their origin in the flag used by Georgian king Vakhtang Gorgasali which was influenced by the cross of St. George. This single cross was transformed into 5 crosses by Queen Tamar but the big cross in the middle still represents the cross of St. George, the patron saint of Georgia. The total of 5 crosses are said to depict the 5 holy wounds on the body of Jesus . The Somalia National flag was acquired on 12 th October, in the year of 1954 and was encouraged by the flag of the United Nations. This flag proportion is described as 2:3.The Color Schemes ofSomalia Flag integrates a shade of blue background and a white star with five points is depicted in the central point of Somali flag . The blue base color stands for the blue sky over Somalia and the United Nations, who assisted the country of Somalia to become conscious regarding its dream of freedom. The white star denotes African liberty. Each of the star's points symbolizes the five historic realms occupied by the Somali people. The array of lands integrates Italian Somaliland, French Somaliland British Somaliland and northern Kenya in addition to Ogaden region of Ethiopia. The Saudi Arabia Flag was officially adopted on March 15, 1973. The white sword was added to the flag in the year 1906. 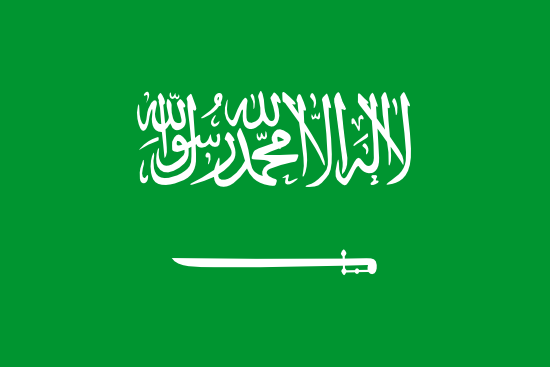 The Saudi Arabian flag comprises of a green base with white Arabic text written on the center of it. The text is known as Sahada and the script is in Thuluth. The Arabic writing on the Saudi Arabian flag is the Islamic declaration of faith and it reads, “There is no God but Allah and Muhammad is his Prophet”. The sword which symbolizes the victories and justice of Abdul Aziz Ibn Saud is underneath the inscription. Green is the official color of Islam. The national flag of Bahrain comprises of a white band on the left and a red band on the right separated by five triangles in between. These five triangles serve as a saw-toothed line on the flag of Bahrain. The oldest known flags of Bahrain were simply red in color. During the nineteenth century, a white stripe was added to the flag of Bahrain to indicate armistices made with neighboring countries. Another portion of the Bahrain flag holds a white five pointed saw-toothed stripe on the hoist side, which represent the five pillars of Islam. In the nineteenth century these were added to distinguish the flag of Bahrain from that of its neighbors. The Seychelles Flag was officially acquired on 18 th June in the year of 1996. The proportion of Seychelles National Flag is described as 1:2. 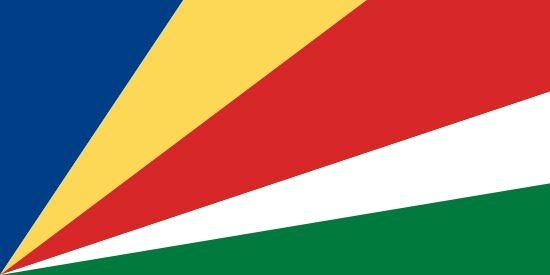 The ensign of Seychelles comprises with five bands slanting from left to right. Those bands are tinged with blue, yellow, red, white and green. The colors as red, white and green are the shades of the Seychelles Citizen's United Party; while the color of blue and yellow stand for the Seychelle's autonomous Party. The blue symbolizes the sky as well as sea, yellow stands for the sun; red epitomizes the harmony of the populace, white denotes justice while green stands for the lush of the terrain. The increasing breadth of the flag's bands of color suggests development and vigor of Seychelles. The national flag of Belize is consists of horizontal stripes of red, dark blue, and red. Then national flag of Belize contains the national coat of arms on its wide middle stripe. The national coat of arms is a white; filled in circle surrounded by a green, circular, garland flowing in a clockwise direction. 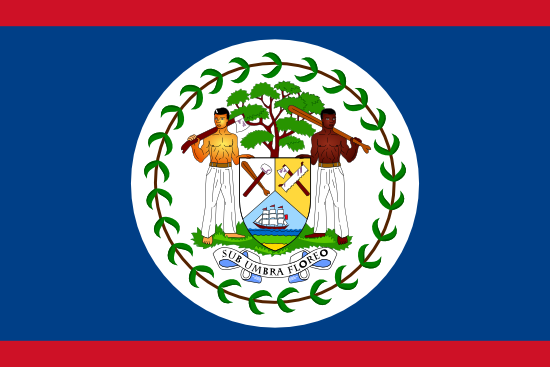 The coat of arms features of the Belize flag consists of a mahogany tree, two woodcutters, a shield, a flowing scroll bearing the Latin motto, which is "sub umbra floreo". The meaning of this motto is "under the shade I flourish" or "under the shade of the mahogany tree we flourish". The flag of Virgin Islands is an exquisite one with a white background having a bald golden eagle in the middle of the flag and capital letters ‘V' and ‘I' on either side of it. At the heart of the eagle there is an American shield because this island is a part of the territories of U.S.A. The eagle in the national flag of Virgin Islands holds three arrows in one claw and an olive branch in the other. The three arrows signify the three major islands of the country of Virgin Islands and the white color of the flag represents purity. The letters ‘V' and ‘I' on the national flag of Virgin Island are initials of the country.